If you know me you know where I stand with ending Bush Era Tax Cuts for the upper 2% wealthy and extending the tax cuts for the Middle/Working Class. It’s very simple, our economy is driven by the middle/working class. Yes the rich spend a lot of money, but when you compare to the amount of money and the number of people considered to be in the middle/working class… There is no comparison!!! People need to realize 95% Americans (that’s you) were given a tax cut by President Obama!! President Obama campaigned on letting the Bush Era Tax Cuts for the upper 2% wealthy; so there is nothing new. WE all knew that this was coming and it was heavily supported, no surprises or flip-flopping going on here. In fact letting the tax cuts expire for the wealthy is still widely supported by the American people. The problem is so-called fiscal Conservatives in Congress are now crying that letting the tax cuts expire for the rich will stifle economic growth and kill jobs. Meanwhile they (Conservatives) also scream about being fiscally responsible; the problem with all of this is that extending the tax cuts for the rich will cost the United States $700 Billion over the next ten years. That’s $700 Billion that will be added to our already enormous National Debt. The Congressional Budget Office aka CBO (neutral entity) has stated that giving the rich a tax cut is the LEAST effective way to create jobs or stimulate the economy. Ronald Reagan’s budget officer has gone on the record that extending the tax cuts would cause my harm than good (for the record he suggest letting tax cuts expire for Rich and Middle/Working classes). Let’s see that’s a neutral entity in the CBO against tax cuts for rich and we also have a Conservative who worked for the Grand Daddy (Ronald Reagan) of Trickle Down economics against tax cuts for the rich (and Middle/Working class). Still we have the GOP trying to push the agenda of tax cuts rich and that Liberals are trying to start a class war. Maybe the American people will ignore the GOP and listen to some one who will be directly affected by increased taxes; Warren Buffet. 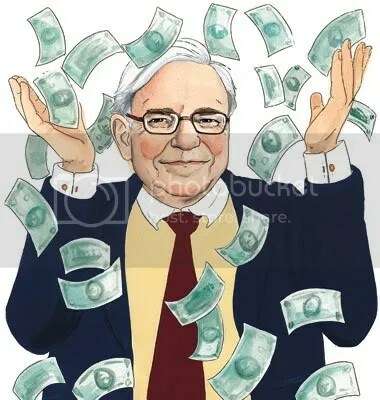 If you don’t know Buffett; he is rich beyond rich. How do you think he feels about letting the Bush Era Tax Cuts for the upper 2% (which he is) expire? 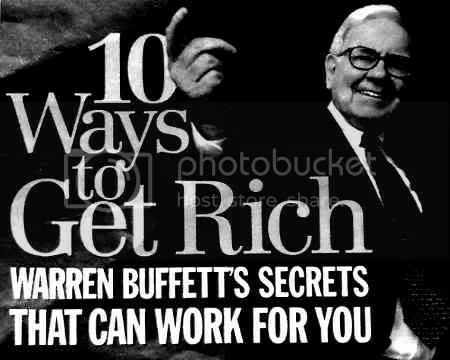 As I stated in the title of this posting, “If it’s good enough for Warren Buffett…” then it is good enough for the rest of the upper 2% rich! !